In September last year, Finland’s finance minister Alexander Stubb dubbed the country as the new sick man of Europe and while the country’s economy is fledgling and signs point to continued lackluster growth, the country’s startups – and especially its vibrant gaming scene – are flourishing, despite the uncertainty. According to a report from 2015, 179 game studios have been established between 2011 and 2014 and 69% of the Finnish game studios are less than five years old. Turnover has been growing steadily with the industry hitting a $1 billion mark in 2014, a relatively moderate increase from 2013, but a significant one compared to $250 million in 2012. With Supercell and Rovio leading the pack, Finland has been making a name for itself in gaming, but despite the hype around the country’s gaming industry, its impact on the economy is still minor. “Downsized Nokia’s revenue was over €10B in 2014 which is still over five times of that the whole Finnish gaming industry’s €1.8B. Even though the industry’s growth rates are still very good – over 40% a year – and new market opportunities (VR / AR) are providing ground for new companies, the industry still has a long journey to make a significant impact to the GDP,” said Ville Kivisto, CEO of Finnish game developer Mindfield Games. The local gaming industry started the new year with some good news for those who look to gaming as the savior of the Finnish economy. In January Microsoft bought Teachergaming’s Minecraftedu, an educational game, and in the same month Helsinki-based NextGames raised $10 million in funding. “We will continue promoting both of our games Compass Point: West that’s launching on Android soon as well at The Walking Dead: No Man’s Land this year. We are also working on a third project. Hiring-wise we’ve taken our biggest growth spurt in 2015 but will be hiring for certain key positions this year too to keep our live games running and with the third production,” said Saara Bergström, CMO of NextGames. In 2015, Helsinki based gaming startup Everywear Games, a leading smartwatch game developer, raised half a million euros from Lifeline Ventures and another $2.25 million in September from Silicon Valley based True Ventures. The team consists of former executives from Remedy, Digital Chocolate and Rovio. Timo Ahopelto, partner at Lifeline Ventures, a VC that has invested in several Finnish gaming startups is moving away from mere gaming to gaming technology. Aki Järvilehto, the CEO of Everywear Games, believes that Finns can dominate the gaming industry. Tero Ojanperä, Nokia’s former VP Services and the cofounder and managing partner of Visionplus, says that Finland did its homework early on. As I wrote some months ago, the correlation between Nokia’s decline and the rise of startups is clear as day – at least when it comes to the gaming industry. 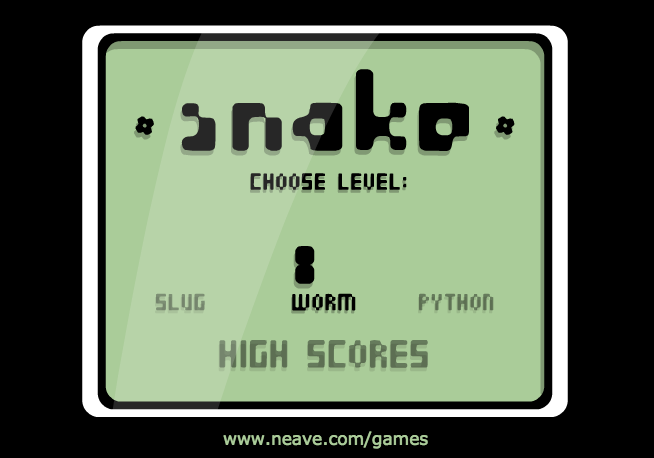 Some see a direct link between Nokia’s memorable Snake to present day innovations. “Ever since Snake emerged on Nokia handsets, Finland has been at the forefront of the ever-growing world of mobile games and really helped spur the move from mobile phones being used purely for communication. The talent that came out of Nokia helped to spawn an environment that was ready for the opportunities that smartphones would provide,” says Elina Arponen, the Head of Chat Games at Palringo and the chairperson of the Finnish Game Developers Association. The exodus of talent from Nokia and the cold winters that force a focus on indoor activities are a potent combination. “Throw together a bunch of talented ex-Nokia engineers that Finland had and what you get is great games… Also, it gets so cold and dark in the winter that what else would you do, but huddle indoors and make games?,” said Lauri Jarvilehto, CEO of new education gaming startup Lightneer.